Allison will help to promote Riverchase Loves Artists on Fox 6 on Thursday morning, February 6 at 8:30am. In 22 years as a jewelry artist Allison’s work has been described as whimsical and humorous. Faces, animals, mystical and natural images are what inspire her. All pieces are one of a kind. Techniques such as fold forming, repose’ and fine chisel work are used to enhance the metal. She even forges and cuts her own tools out of steel and ultra dense plastic. When demonstrating at public events, people are always shocked to see how she uses a hammer and chisel to cut these elaborate designs into such a small piece of metal. 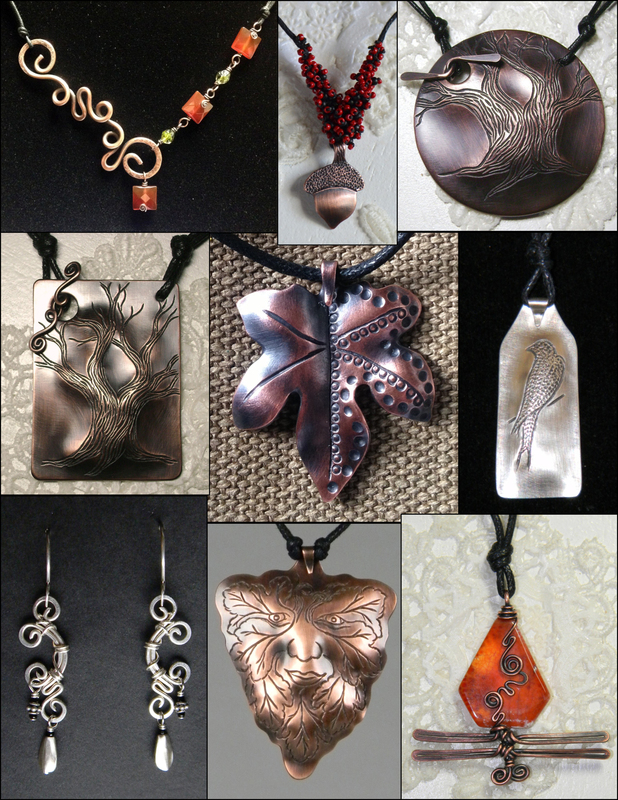 Allison’s work is made of recycled copper and sterling silver scraps from other artists as well as her own melted down and reformed. Looking at the negative space left after cutting something away from a piece of metal gives her new inspiration and pushes her in new directions she might not have otherwise thought of. Her imagery tends toward realism but with an off-kilter twist. Often pieces have sides that don’t match but are visually balanced. Animal and human forms are a recurring theme but not always how you night have imagined. Allison’s work forces you to take a deeper look and question the intent. Tongue-in-cheek, spirit animals, protective talismans or healing stones….. Look deeper and ask questions, it is not always what it seems. For example, her answer to Valentine’s Day gifts are puzzle necklaces. Each pendant is cut from the other, each piece completes the other. Two distinct necklaces are made using a piece that makes the other whole. Some have a piece from the center symbolizing Mother and child while others are simply two sides to the same thing. Demonstrations: Kentuck Festival for 5 years, Greater Gulf Coast Heritage Festival for 3 years and smaller festivals, markets and conferences for 20 years. Merit Award at Mecca Fest- Carrollton, GA.